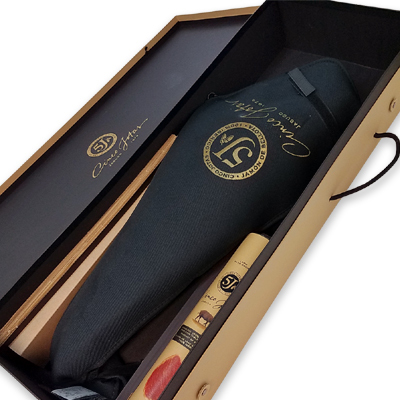 Pure Iberico Ham de Bellota Cinco Jotas 5J Special Edition is a delicate and flavored top quality Spanish ham, made from the hind limbs of the Iberian pig, bred in the dehesa and fed on acorns and pasture grasses during the Montanera period. 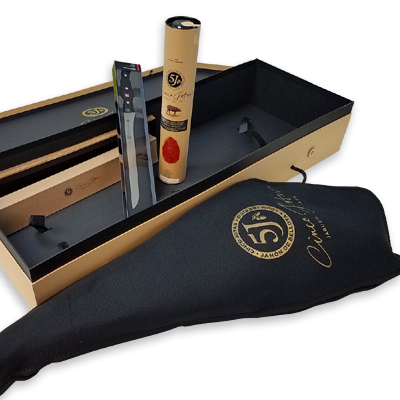 The Pure Iberico Ham de Bellota Cinco Jotas 5J Special Edition is synonymous of the highest quality and unique flavor. 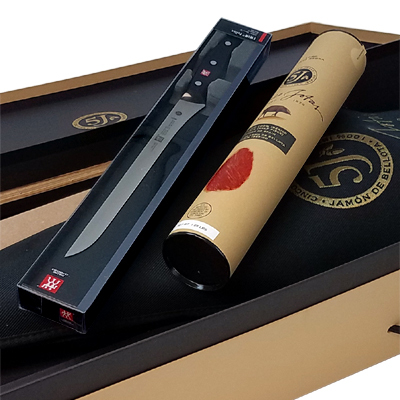 In the preparation process of this product, Pure Iberico Ham de Bellota Cinco Jotas 5J Special Edition is cooled and cut into V, reduced from outer fat, salted, rinsed, balanced, dried and cured slowly in natural warehouse. The meat of Pure Iberico Ham de Bellota Cinco Jotas 5J Special Edition has a delicate, slightly salty and sweet and pleasant fragrance. With quality warranties from Ham Master “Maestro Jamonero”, it is an intensely flavored dish estimated and enjoyable for the most discerning palates. 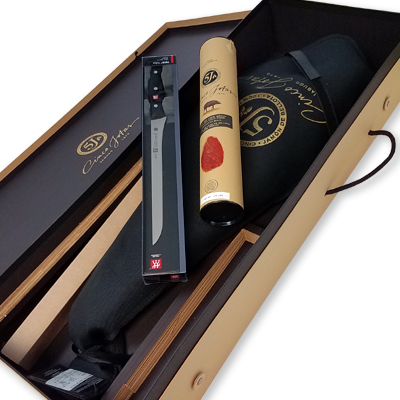 The Pure Iberico Ham de Bellota Cinco Jotas 5J Special Edition is considered one of the finest products in the world for its quality and unique taste. Obtained from the Iberian pig, which feeds mainly on acorns, food containing large amounts of starches and oleic acid, the main responsible for making this iberico ham a healthy food. This acid is a mono unsaturated fat that helps in regulating our metabolism and reduces cholesterol. Furthermore, the sugar contained in large amounts in acorns infiltrates the animal’s muscles creating the exquisite taste of this Spanish ham. 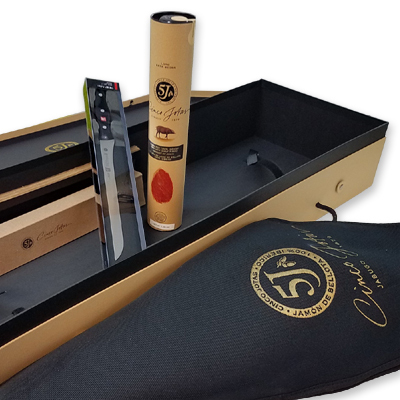 Among all the Iberian products, Pure Iberico Ham de Bellota Cinco Jotas 5J Special Box stands out as a handmade product with a quality able to delight the most demanding gourmet. 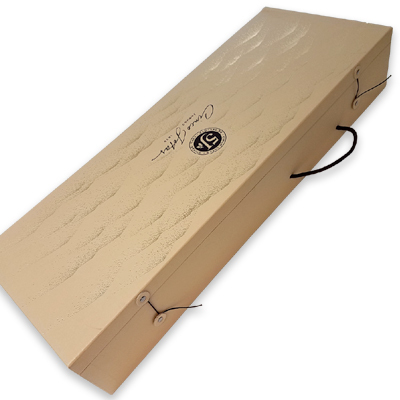 Furthermore, as the name implies is labeled with the brand Cinco Jotas where only those products that meet the highest degree of exquisiteness and quality are chosen to be labeled under this brand characterized by an unmatched quality products.